Quirky Orlando retirees Thaddeus and Cheryl, and adoptive parents Steven and Peter, come together for a family weekend in Orlando, where Cheryl anxiously hopes to repair the dysfunctional and toxic relationship between her husband and their son. When news of a serial killer that targets gay men at nightclubs rocks their community, over-worked pharmacist Laila grows concerned for her handsome and arrogant younger half-brother, Alex, who has been missing for several months. Meanwhile, the calculating murderer's own life begins to spiral out of control as he unwittingly falls for a would-be victim. Overwhelmed by meeting his granddaughter Gertie for the first time, Thaddeus kidnaps her in order to take her to Disney World setting off a wild goose chase where these intertwined families finally collide. Dan J. Lopez's work has appeared in "The Collagist," "Storychord," "Mary Literary," "Time Out New York," and "Lambda Literary," among others. 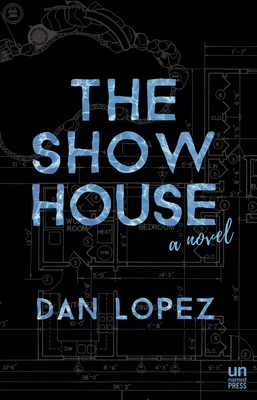 "The Show House" is his first novel. He lives in Los Angeles.